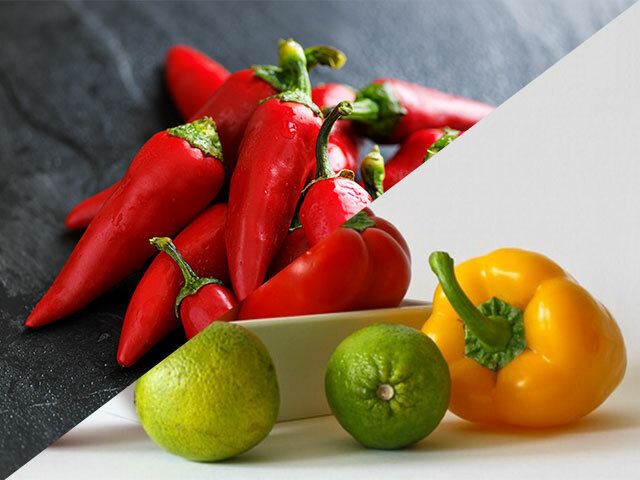 Rosacea affects everyone differently, and the same can be said for the foods and drinks that cause reactions in each individual. Many doctors are quick to emphasize that certain foods and drinks are simply triggers, rather than an actual cause of this sometimes severe skin condition. And, the items you consume that can cause symptoms to appear on the surface, may not cause the same reaction in someone else. It is believed that an imbalance in ph levels could promote excessive growth of bad bacteria in your body resulting in just one reason you may see the unwanted signs and symptoms of Rosacea. If you have more acid than alkaline in your system from food, you are likely to see signs appear. As for drinks, alcohol will often make one’s face appear red because adult beverages cause a reaction that dilates the blood vessels forcing symptoms to appear in an aggressive manner. Dr. Olson also continues to say that you may not have to fully eliminate these foods from your diet however, they should be limited to roughly 20 percent of your food consumption balanced with the remaining 80 percent of food that is alkaline based. Additional foods to try to avoid include fast food, dairy, artificial sweeteners, and trans fats. Dr. Oz also extends this list to include peppers and spicy foods. Alcoholic beverages are at the top of the list of drinks to monitor. Coffee and tea also cause reactions with great frequency, however, this is often due to the high temperature of the beverage rather than the composition of the drinks themselves. Soda pop is also another drink to avoid to keep your skin clear due to the high sugar or artificial sweetener levels. If you like to drink alcohol, not all hope is lost. *This list is in order of people who suffer the most reactions from the alcohol listed to the least. The good news is that some alcoholic beverages are not as bad as those listed above. In a post coming soon, we will share with you the foods and drinks that prevent Rosacea signs and symptoms. Stay tuned! Because everyone reacts differently and with various levels of severity to various food and drink, it is recommended that you closely monitor foods and drinks that cause you symptoms. Just because red wine causes a flare-up in others does not necessarily mean it will cause one in you. It might be helpful to keep a journal or log of foods and drinks that cause you issue and those that do not. This way, you can learn your personal limitations and avoid the unnecessary elimination of something from your life that truly makes you happy if you do not have to. If it turns out your symptoms are not food or drink related, it is best to use products that are carefully engineered to treat Rosacea from reliable sources.